For amateurs (dancers who do not receive financial compensation for dancing, teaching or performing) that already have an amateur partner, Kat Arias is available to choreograph routines to take to competition. You represent the Ferocity Dance Company, but also have the comfort of having your coach there at competition for you. In these competitions, both amateurs are judged. Charges associated with Amateur competitions are private lesson fees, registration fees, travel costs, as well as costumes. 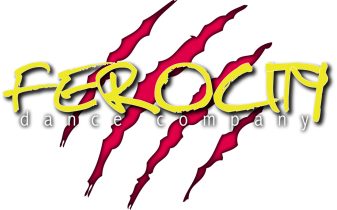 The Ferocity Dance Company amateur competition team is a hand picked group that travels Nationally and Internationally to compete in various competitions. The amateur team was formed in January of 2015 and has since competed at the 2015 and 2016 Euroson Latino Competitions, the 2015, 2016 and 2017 World Latin Dance Cups, and the 2016 Salsa Fuego Competition. This team doesn't just compete - of course they perform these routines at various Congresses, events and venues throughout the year! Inclusion to this team is by invitation only as all members are hand picked after undergoing an audition. By far, joining Kat's bachata dance team has been my favorite activity I have discovered in the Washington DC (DMV) area. Kat Arias has built a dance community around her self that is founded on her vision of unity on the dance floor. The comraderie, fun atmosphere, supportive teammates, and most awesome of all: bachata skills workshops and different types of lesson she offers makes you grow into the bachatero/-a you were always meant to be!